AlterG has introduced the Anti-Gravity Treadmill which offers a revolutionary approach to training, rehabilitation and recovery. For triathletes, or any type of athlete for that matter, rehabilitation can be a slow, painful, and frustrating process. 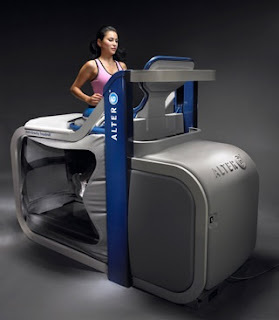 The AlterG Anti-Gravity Treadmill offers a safe and effective solution. Alter G is the first commercial manufacturer to provide a FDA-cleared therapeutic device that allows precise partial weight bearing exercise with natural, closed chain enclosure. The AlterG Anti-Gravity Treadmill is a NASA developed Anti-Gravity Treadmill that helps patients recover faster from orthopedic and neuralgic conditions. The G-Trainer works by creating a powerful lifting force known as Differential Air Pressure (DAP) Technology, which allows for precise ultra-low impact ambulation. The user wears neoprene shorts and zips the waist into a pressurized airtight enclosure suspended over the treadmill surface. By controlling the pressure in the enclosure from the console, the user can reduce their body weight by as much as 80%. The AlterG Anti-Gravity Treadmill has provided sports medicine clinicians, coaches, trainers and athletes alike, an innovative training and rehabilitation tool for maximizing performance and minimizing injury related reconditioning and down time. The world’s best athletes and sports teams consider the Anti-Gravity Treadmill an essential part of their athletic conditioning and rehabilitation programs. Over 20 NCAA teams, 20 professional NBA and NFL teams, 60 top performance enhancement centers, medical facilities and government facilities are using the Anti-Gravity Treadmill in their training and rehabilitation programs. For Rehabilitation- Impact forces on the lower extremities are reduced by lowering body weight. The FDA has cleared the AlterG Anti-Gravity Treadmill for use in the following conditions: Lower body injury and surgery rehabilitation, aerobic conditioning, weight control and reduction, sport specific conditioning programs, and neuralgic retraining. For Performance Enhancement- Allows the user to train longer, run faster, gain additional strength and enhance cardiovascular performance. For Increasing Training Volume and Minimizing Stress-Related Injury- Supplement standard training and improve aerobic conditioning without increasing the risk of stress injury. Provide accurate unweighting for a significant reduction in ground reaction force. To Maximize Fitness Retention During Rehabilitation- Athletes need to be able to maintain high fitness levels while they are injured. Match the aerobic intensity of an athlete’s workout and lower the impact on his/her injured body by using a combination of weight adjustment variables. Promotes the full range of motion while minimizing stress. Maintain strength and build endurance. -Shannon Rowbury, 2008 U.S. Olympic Team, Women’s 1500 meters. Finished first in the trials, and 7th in Beijing. “The Anti-Gravity Treadmill has had an immediate impact on the Oakland Raiders. It has enhanced our ability to expedite certain phases of our rehabilitation protocols and has eliminated some of the unknowns that we used to face prior to returning to the playing surface. Our athletes recognize the importance and share the confidence we have in the AlterG." Wooohh.... How come I've never heard/seen this? Too cool. And I thought I was ahead of light-impact training with aqua-jogging. SOoo behind the times, I see. I'd like to share this with my readers on my blog. 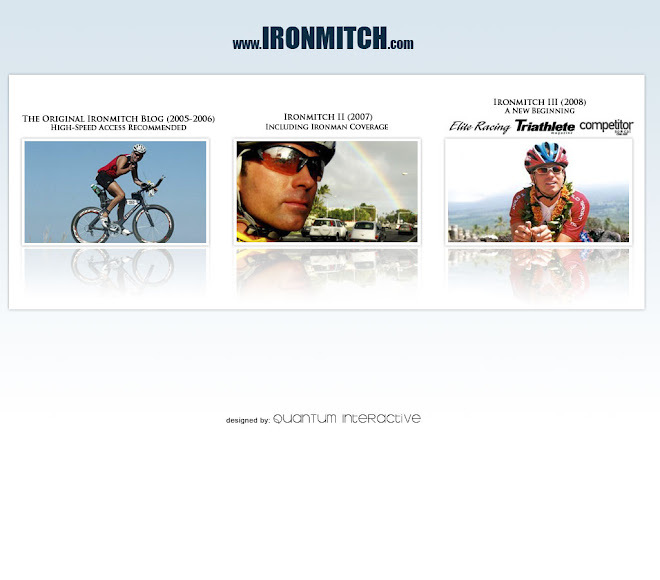 www.runningbrooke.blogspot.com. Mind?